First off we would like to send out our condolences to the families and loved ones lost in the tragic shootings of Orlando. I wish there were not as many cowardly people as there are in this world who wish to go into a place where they know most law abiding citizens are not carrying weapons and attempt to lay prey to those helpless individuals. Unfortunately during these emotional times some individuals use this opportunity to speak about political topics in which tear at the heart strings of those that chose to just listen to what someone has to say rather than do their own research. But fear not I have done the legwork for you and hopefully I can help piece together the fabricated truth in a way that a logical person can grasp. Let’s start with the Assault weapons ban period which was enacted by congress on September 13, 1994 and signed that same day into law by President Bill Clinton. During this time believe it or not there were still homicides due to rifles. Let’s check out the numbers which came directly off the FBI.gov website. Just for clarification I stated at 1996 because that’s where the site went back to. So the total for this 9 year period of homicides by rifle was 4202. Now let’s take a look at the time post ban which is from 2005-2014 due to data for 2015 not fully available at this time. The total for this 10 year period of homicides by rifle was 3537. That is a 665 person decrease as well as an extra year added on while there was no assault weapons ban in place? Now with the way our so called leaders get on TV and speak about how assault rifles are so bad and the American public needs to act to fix this situation it seems extremely odd to me that in my hour or so of actually researching real statistics from their own government websites that I can determine that the dreaded AR-15 seems to hardly a real issue at all. Now we are talking about the supposedly most powerful people in the world using their platforms to tell us that banning this one piece of equipment is suddenly going to rid us of all these cowardly acts. The numbers from the previous attempt beg to differ. They spend their time trying to influence the public about the topic when more than 41,000 people are killed every year from just second hand smoke. Really people we all need to wake up and see that just because people have a platform to speak on doesn’t means that they are correct on the verbal vomit in which the spew at us daily. I hope that many people will at least open their eyes and understand while the shootings that happened in Orlando are heinous and cowardly taking away the gun rights that many of us law abiding citizens enjoy solves no problem. I can guarantee you if I or many others like me were in that night club when some moron decided to pull that type of act, he wouldn’t have to worry about killing many people because he wouldn’t be breathing very long after he decided to do it. 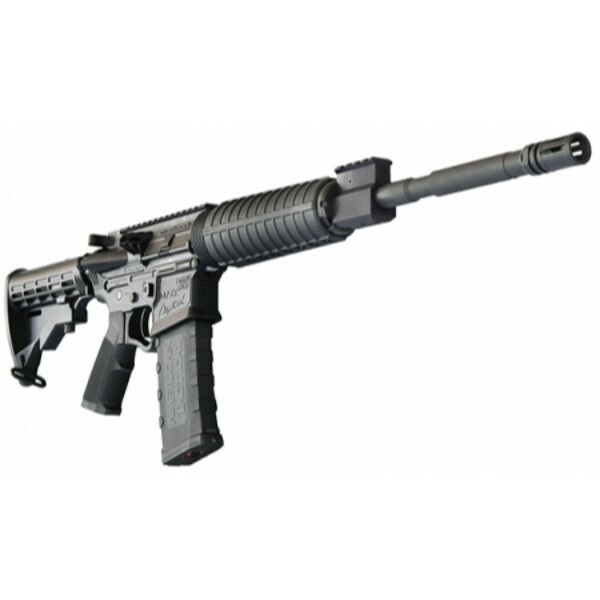 One Stop Firearms sells rifles, handguns, pistols, and other firearms accessories online.